KIHM specializes in medium to large envelope complex subtractive manufacturing services. 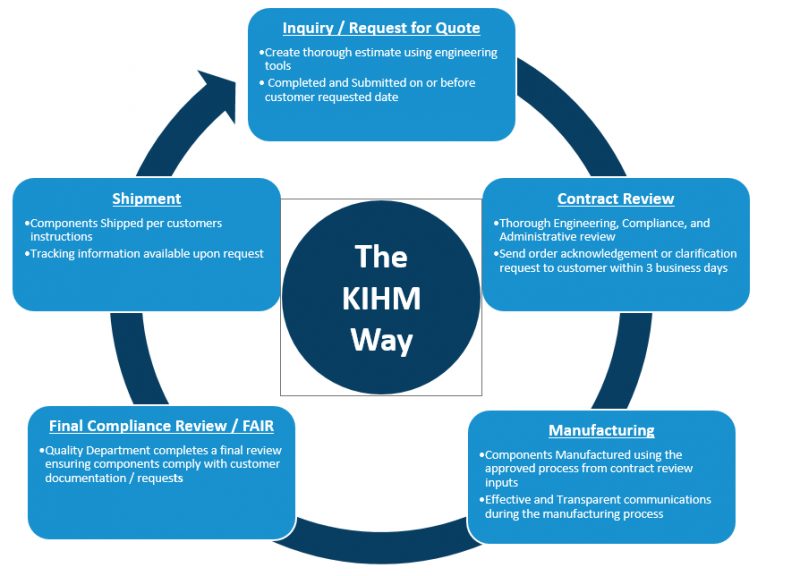 Focused in hard metal machining, KIHM as a heritage in machining typically difficult to machine materials, such as Inconel, Titanium, and Tool Steel. KIHM utilizes, horizontal, vertical, and 5 axis machining centers and CNC turning capabilities up to 36” in diameter. KIHM focuses in hard metal machining The KIHM team produces volumes from medium to large level production runs.